Frida (Shtol) Schwindt: Born in Dengof--Volga Region (8/30/1923). She died 8/27/1987. 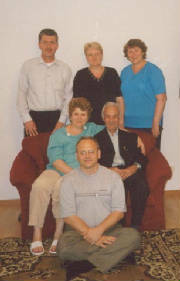 above photo: Viktor, as a boy, is third from the right (on the floor), with family and parents. 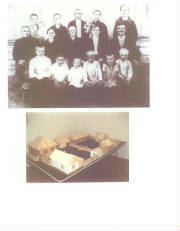 below: Photo of house (or village) where they lived. Viktor and Frida had 4 children, 3 daughters and 1 son. 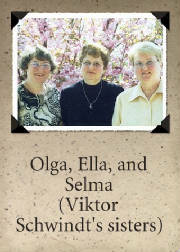 Daughters Olga (1/10/1952), Selma (9/24/1954), and Ella (3/17/1959) live in Haltern, Germany. Son, Viktor, lives in Novosibirsk, Siberia, on the right bank of the river Ob.